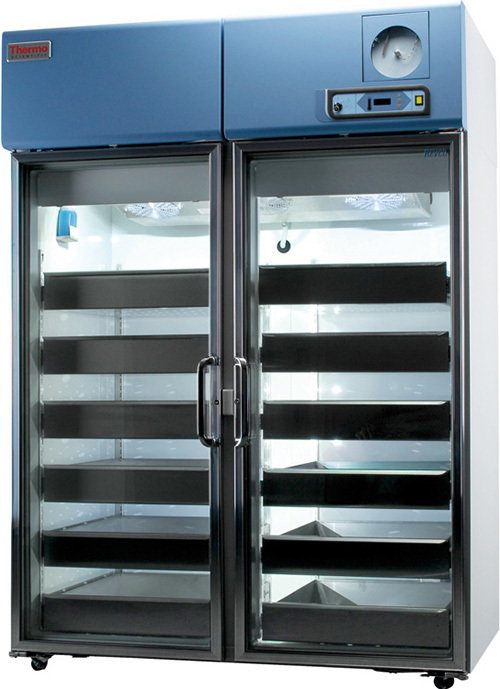 Available in four sizes, our Revco high-performance pharmacy refrigerators feature adjustable basket drawers and glass doors for the easy identification of chemotherapeutics, vaccines, pharmaceuticals and other material requiring 1 to 8°C storage. Doors are full view glass with double pane construction that eliminates condensation. A spring-loaded closures includes 90° stay open feature.